When you think of High Point, North Carolina, the first word that comes to mind is furniture. The “Home Furnishings Capital of the World” is marked by a 36 foot tall chest of drawers that serves as an artistic representation of the industry. Steeped in history and culture, High Point holds its own as a solid corner of the Piedmont Triad. High Point University is an educational pillar among institutes of higher learning in the state. High Point, NC is an excellent place to build a life and raise a family. Showroom after showroom of beautiful, American-made and imported home furnishings await you in High Point’s furniture market. Major brands and local manufacturers come together in one location, offering the highest quality furniture available. Whether you are searching for one perfect piece to complete a certain room, or you’re looking to furnish your entire home, you’ll find everything you need. After a long day of furniture shopping, it’s time to unwind. Cuisine ranging from local BBQ joints to popular franchises to fine dining can be found to suit all tastes. Kepley’s BBQ has been serving the High Point area for over 60 years, offering the classic pulled pork that NC is famous for. Food styles from around the world are represented, including Asian, Mexican, Italian, French, Indian, Irish, and much more. Night life includes wine bars, pubs, clubs, and microbreweries. When it’s time to get out and have some fun, High Point has a lot of activities for families. Miniature golf, bowling, skating, and movie theaters are just a few sources of entertainment in the area. Outdoor activities like parks, the NC Zoo, the Piedmont Environmental Center, and a butterfly farm offer opportunities to get out and enjoy nature. Ride the train at City Lake Park, defy gravity on the ropes course at Kersey Valley Attractions, or play 18 holes at Jamestown Park Golf Course. High Point gets its name from its status as the highest point on the 1856 North Carolina Railroad. Cotton and lumber were the most common goods that moved through the city, supporting both the furniture and textile industries. 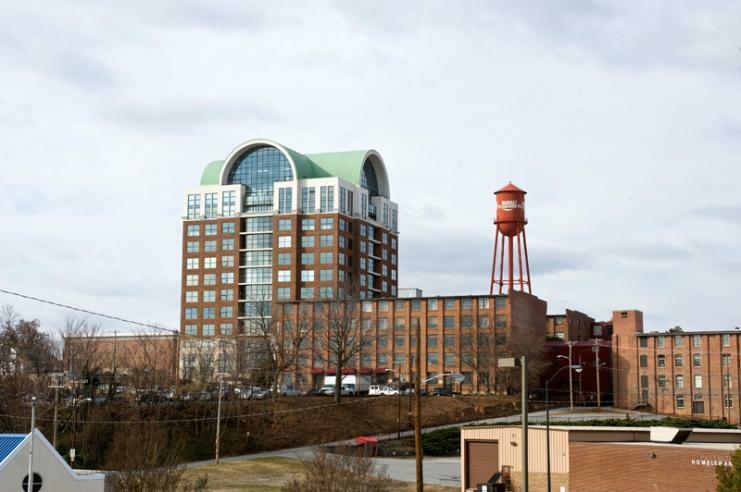 The first furniture factory in High Point was established in 1889, and the industry grew from there into the “Furniture Capital of the World” that it is today. Various art galleries showcase work by local artists from paintings to sculptures to decorative dinnerware. The High Point Area Arts Council offers shows and productions throughout the year, some of which take place in the Centennial Station Arts Center, a 250 seat dinner theater. There’s always some form of cultural entertainment to experience in High Point. Between moving your brand new furniture in and your old furniture out, have your floors professionally cleaned by a maid service in High Point. The Maids of the Triad can make your home shine so that your new furniture will look even classier. Regular cleaning services help to keep your home looking tidy in the days, weeks, and months to come. Call the maid service in High Point that locals have trusted for more than a decade, The Maids of the Triad: (336) 292-7805.